I managed to get myself a black Cooper St panel dress for just AU$40 (original price AU$129) and some black shorts with a slight shine to it. Net A Porter has a white Fendi dress (£710.00) that looks pretty similar to the black dress I just bought :P I'm pretty happy with my purchases. I've got to admit that I LOVE clutches and I decided that I'd share some of them here. 1. I bought the first clutch because I felt it was really unique and I decided to get something more structured. 2. My Patent Morgan Clutch is my favourite, goes well with alot of items in my wardrobe. Whether dressed down or up, it looks great. 3. 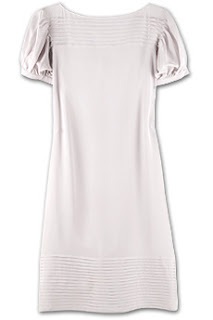 A more feminine touch, love this one, goes with all the pretty and sweet dresses. Gorgeous clutches :) I especially love the second one!